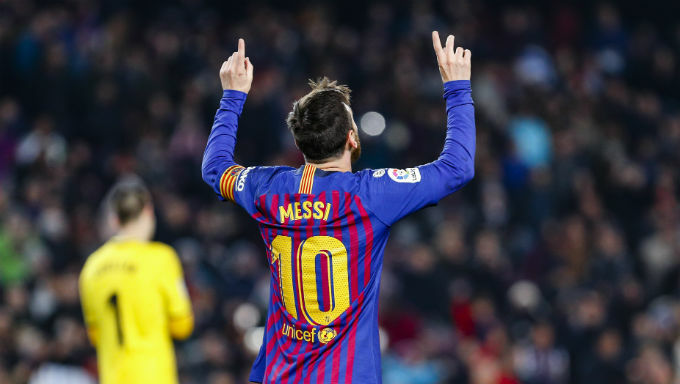 There are plenty of stories to be written in La Liga this weekend, and we’ve picked three matches that affect the top and bottom of the table. This was scheduled to be the first ever La Liga fixture to be played outside of Spain, with Miami the proposed destination. That was until Javier Tebas, La Liga’s chief, was backed into a corner by the Spanish federation and the whole thing was called off… for now. It means that the tiny Estadio Montilivi will be full to bursting for Girona’s local rivals, and current champions, Barcelona. The Blaugrana have only lost twice in the league this season and have scored in every match they’ve played so far in 2018/19. In the three meetings between the sides, Girona have scored in two, though both were at the Camp Nou, losing 0-3 at home last season. Barcelona have scored two or more goals in 11 of their last 13 matches but have been porous at the back, and with Messi, Suarez and Cristhian Stuani the top three scorers in the division, both teams to score in the first half at 16/5 with BetVictor seems decent value. Girona haven’t won in the league since November, and not won at all in last eight matches, including five successive draws, one of which knocked Atletico Madrid out of the Copa del Rey. Both teams have something in common – they’ve been beaten 3-0 by Eibar in 2018/19 – but it’s there that the similarities end. Espanyol have only one win in this fixture since 2007 – thanks to a 93rd-minute winner last season – and haven’t won since early November in the current campaign. In their last 12 in all competitions, Los Periquitos have kept just three clean sheets too. Real Madrid haven’t had the best of seasons themselves, failing to win on eight occasions away from home in 2018/19, and they are already 10 points behind current leaders Barcelona. However, they look to have turned the corner after great performances at Betis and against Sevilla. Though Real have let in 24 goals to this point of the campaign, which is unheard of for them, they haven’t conceded against Espanyol in six of their last eight meetings. Therefore, Los Blancos to win to nil at 13/5 with Ladbrokes is worth your spend. Esteban Granero and Didac Vila have 12 yellows between them, and one or two others are walking a suspension tightrope. Espanyol can ill afford anymore poor discipline, so rising to the inevitable bait from the likes of Sergio Ramos isn’t an option. Mario Hermoso, a one-time Real Madrid Castilla player and alleged current target for his former club will also want a big performance to put the cat amongst the pigeons in Cornella. Valencia coach, Marcelino, joined Los Che from Villarreal, and though he’s not had the best time of it recently, after a wonderful debut campaign, his woes are nothing compared to the Yellow Submarine. Santi Cazorla and Co. find themselves in the relegation places, three points from safety. Incredibly, their last league win was back in November, and they only have three in total. A draw against Real Madrid aside – in which Cazorla grabbed both – there’s not been an awful lot to cheer about at the Estadio de la Ceramica. Two losses and four draws in their last six league games tells its own story. However, they do have a glimmer of hope. In the last 26 meetings between these sides, there have only been two goalless draws (including the most recent meeting), and Valencia have only won one of the last eight. Further, the hosts have really struggled in front of goal this season, scoring more than two in a game just once in the whole of 2018/19. Valencia have relied on captain, Dani Parejo, for their goals, and he remains top scorer. Rodrigo, a summer target for Real Madrid, and a certain starter in the Spain side not so long ago, only has three goals to his name. It’s more than likely to be a cagey affair given what’s at stake, but Villarreal’s Indian sign over their opponents will continue, particularly as they’ll play with more urgency on the day. Bet365 are offering 15/2 on a half time/full time bet of Draw/Villarreal, and you’d be mad not to take them up on that.